Two Title Fights! LIVE music, big screens and our $25 1kg of chicken wings + jug of Stone & Wood special! Namajunas vs. Andrade is an upcoming mixed martial arts event produced by the Ultimate Fighting Championship that is planned to take place on May 11, 2019 at Jeunesse Arena in Rio de Janeiro, Brazil. 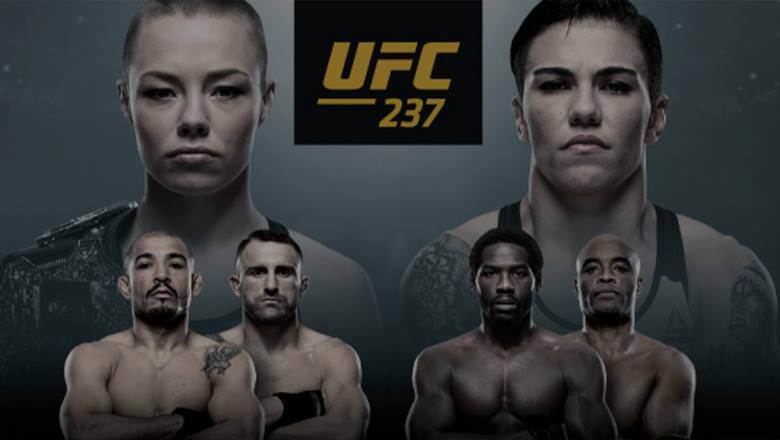 After ridding herself of Joanna Jedrzejczyk, UFC strawweight champion, Rose Namajunas, will move on to make her latest title defense against Brazilian bully, Jessica Andrade, in the UFC 237 main event, a card that also features a bevy of local legends like Anderson Silva, Jose Aldo, and Antonio Rogerio Nogueira. Come in early to make sure you get a seat!